This interactive, engaging program: THE FIVE BEHAVIORS OF A COHESIVE TEAM (born out of the five dysfunctions of a team fable) is a facilitated experience that empowers companies to achieve their executive team development goals and other work-team development objectives. Through the leadership team development process, leaders discover exactly how to build a truly cohesive and effective team. TurnKey Coaching Solutions is a professional development company providing scalable coaching, leadership program management and learning and development solutions that drive business results and improve organizational culture. TurnKey Coaching Solutions is an independent Five Behaviors of Cohesive Team Authorized Partner and is passionate about unleashing the potential of your teams! THE FIVE BEHAVIORS OF A COHESIVE TEAM Program is built around the ground-breaking bestseller “The Five Dysfunctions of a Team” by Patrick Lencioni and it was developed in partnership between Wiley and Patrick Lencioni with his company The Table Group. As an Authorized Partner, TurnKey Coaching Solutions helps companies leverage this results-oriented team facilitation to increase the effectiveness of their teams. TurnKey Coaching Solutions provides integrated Leadership Team Training programs incorporated with science based assessments and proven team development tools for the most effective leadership team training available. Leadership team effectiveness can and should be cultivated as a strategic business objective. Trust One Another When team members are genuinely transparent and honest with one another, they are able to build vulnerability-based trust. Engage in Conflict Around Ideas When there is trust, team members are able to engage in unfiltered, constructive debate of ideas. Commit to Decisions When team members are able to offer opinions and debate ideas, they will be more likely to commit to decisions. Hold One Another Accountable When everyone is committed to a clear plan of action, they will be more willing to hold one another accountable. Focus on Achieving Collective Results The ultimate goal of building greater trust, conflict, commitment, and accountability is one thing: the achievement of results. What to expect if you participate? How does this leadership team development program work? THE FIVE BEHAVIORS OF A COHESIVE TEAM assessment and accompanying material is designed exclusively for intact teams and work groups. The program harnesses the power of Everything DiSC and the clarity and simplicity of The Five Dysfunctions of a Team model. TurnKey Coaching & Development Solutions is the premiere provider for leadership development programs in the Houston area. » Improve your leadership practices with TurnKey's executive coaching programs in greater Houston. » Learn more about our sophisticated and proven leadership training and development services that may be adapted to match almost any HR development budget. 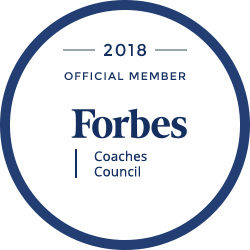 » Additional details about our fully scalable, customizable executive coaching programs in the Houston area. » Make the most of high-potential employees with our emerging leader programs in the Houston area. Please, email us to get access to additional progress reports and team reports which are available upon request. How does your organization overcome the five dysfunctions of a team (per Patrick Lencioni’s bestseller)? An effective leadership team training and team development program is critical to an organization’s goals. Poorly functioning teams filled with high-functioning individuals can be transformed with the right team assessment, team diagnostic tools and team training program. High-potential employees that are forced to work on a dysfunctional team, often leave in search of a more cohesive and collaborative environment. Even a good team’s incapacity to manage conflict, or hold each other accountable can negatively impact the bottom-line. Your organization needs a leadership team training or work team development program that will specifically address soft skills such as building trust, conflict management, effective feedback, etc. By designing a team development program that is unique to your organization’s culture, team training requirements and budget – HR has an opportunity to strategically impact the bottom line. TurnKey Coaching & Development Solutions is an independent Five Behaviors of a Cohesive Team Authorized Partner. We specialize in creating integrated leadership team training and coaching programs. We look forward to serving you and your organization. ☎ Call or @ email us for a complimentary consultation today.